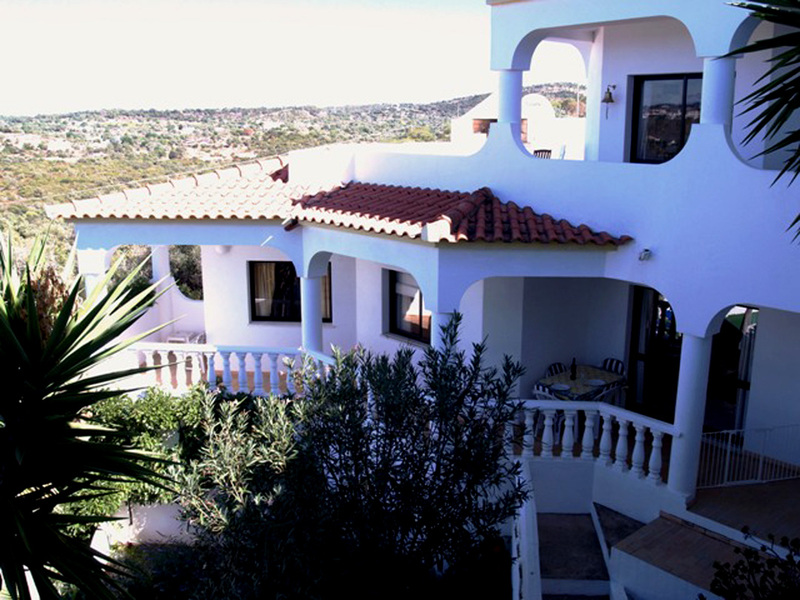 Welcome to our website, let us tell you a little about us – we have a large villa in a wonderfully rural location in the Algarve Region of Portugal in which we have two apartments for holidays rental. We have been here for 15 plus years and in that time Toca do Mocho has become very popular with all ages but especially with families with young children and babies – we have been the location for many a First Baby Holiday! We are a short flight away from the UK and 20 minutes from Faro airport, can arrange car hire and have your own shopping list (you can send a list through for us beforehand) ready in the apartment on your arrival (including nappies and wipes if you like), your apartment can have the necessary items you will need like proper cots, baby baths, potties, high chairs and even Cbeebies & CITV on the Tv!! – packing is a doddle as you don’t need to bring everything with you. After you have unpacked (or not) you can have a splash with the kids in the pool or an hour in the pool whilst your little one takes a nap – yes the baby monitor reaches right down to the pool!! Then high tea for the kids, pre ordered and delivered to your own gated terrace. A quick play in the Family Games Room (which has an honesty bar if you fancy a quick holiday G&T), followed by bath and bed for the munchkins. Then relax, take in the view, enjoy the peace & quiet and await your pre-ordered supper being delivered to you and then the empty plates taken away when you have finished – no washing up! Have a chat with us about what to do and where whilst on holiday, where the supermarket is etc and that’s the end of your first day!!! 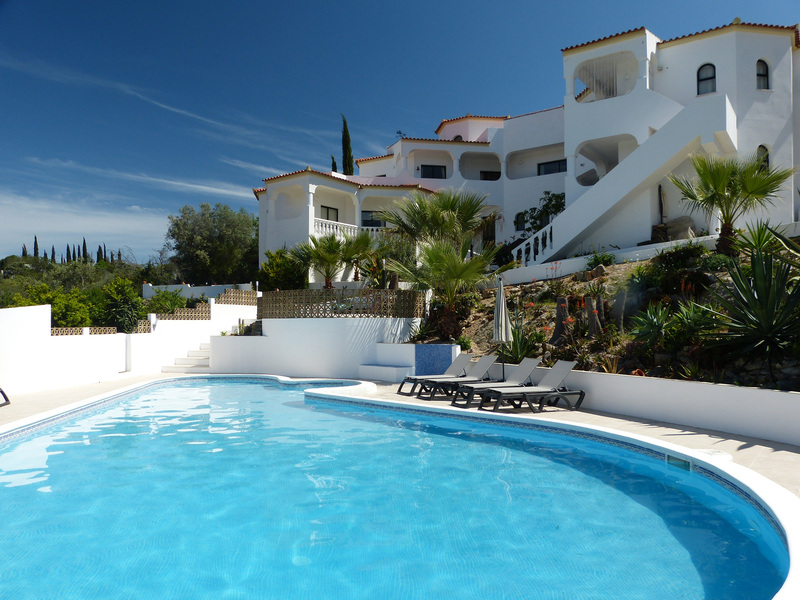 The apartments are 20-mins drive from the nearest sandy beach (Faro) and 10 minutes drive from local town. 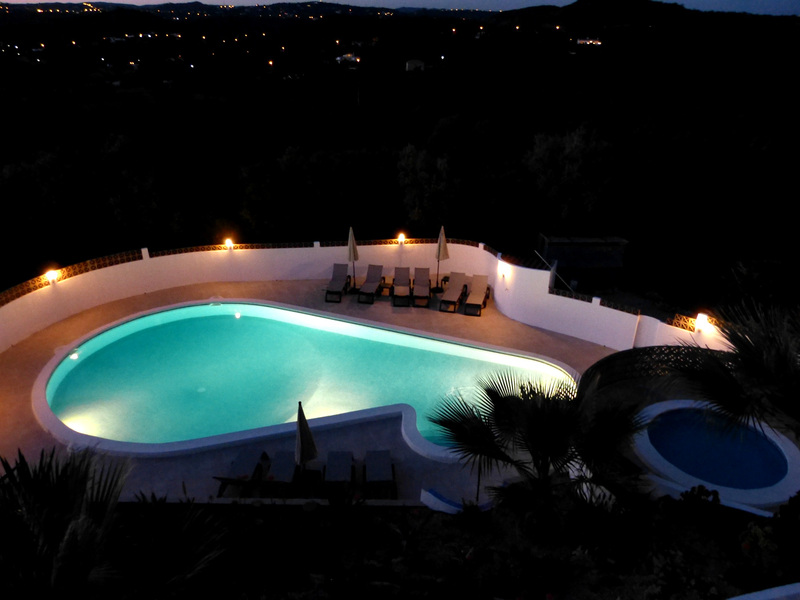 Guests have use of our two pools – a large pool with sun loungers and a small pool for paddling! Washing service available and extra cleaning also if required. Sleeps 4 + infants in 2 x double with additional sofa bed in lounge area. Evening meals are available daily from our extensive menu, served on your terrace with the children safely in bed next door! You can borrow buckets, spades and sun tents for the beach. We have four small dogs and two budgies. Thanks everso much for making our stay here brilliant! It has been an ideal location for us with a young family. the sightseeing and ‘exploring’ has been very much appreciated and having the pool to ourselves has been a luxury! Will definately be singing your praises in terms of food, apartment, and brilliant hospitality. Thanks Again. This is our second visit and it has been even better than the first; facilities are fantastic and very good value for money. Sadie is so lovely, it’s like bringing your best friend on holiday and Mick’s cooking is so good I am unlikely to get into my work clothes on Monday. The kids loved the pool and the beach train at Pedras d’ Rei and the grown ups loved the wine and good company. I’m sure that we will see you all again soon. © Toca Do Mocho Holiday Villa Apartments, Algarve, Portugal. 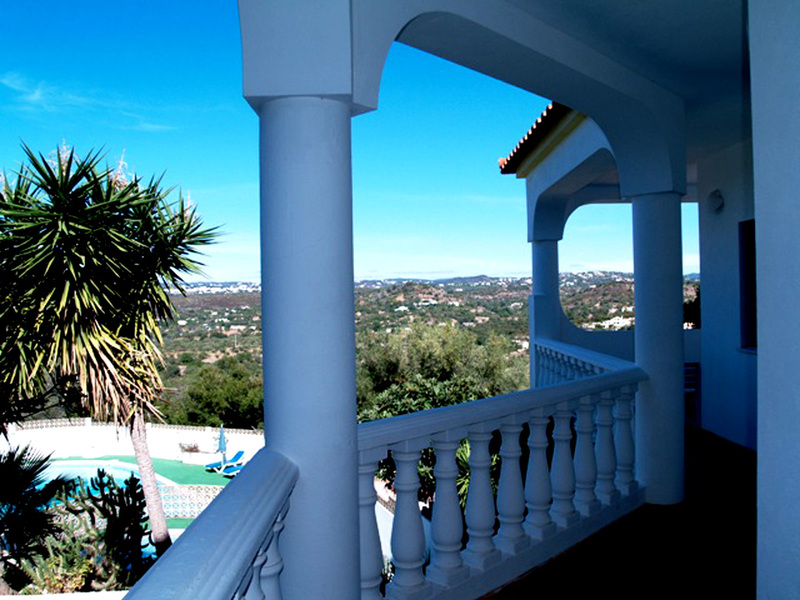 Self contained holiday apartments in villa location a mere 20 minutes from the airport & golden beaches of the Algarve.